Our company offers not only new tables for table soccer but used foosball tables as well. We offen have good quality tables available for sale under promotional conditions and different foosball accesories, spare parts and table soccer items as well. 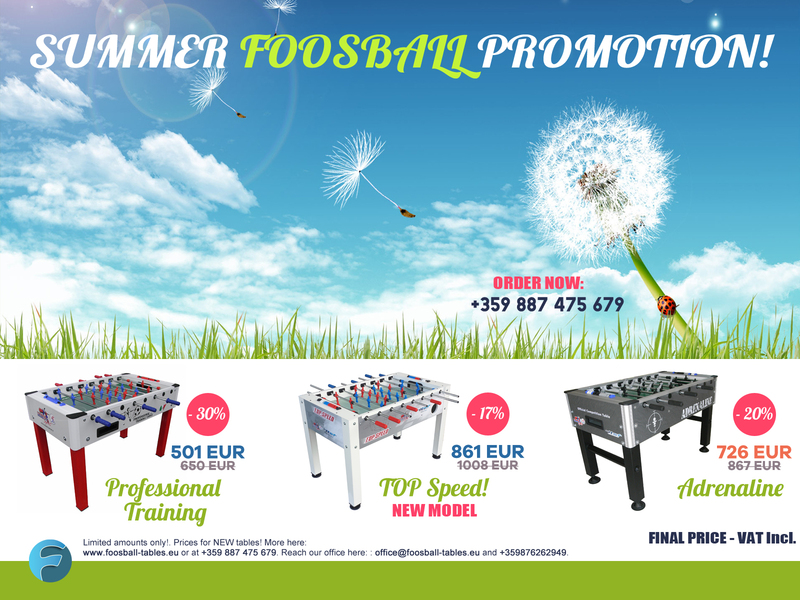 For the needs of the customer we have used foosball tables to offer at promotional terms depending on their condition and the specific agreement with the client. From the experience we have even unavailable at the time of the request, the network of connections that are available on the market of products associated with table foosball - accessories, foosball / table soccer table / spare parts often fail to equip our customers with what they need - foosball table, which you can use at home, table with coin mechanism at an affordable price you can place in your establishment, as well as different products we have available at the time of your inquiry.